According to a January 29, 2011 article in the Frederick News Post, two researchers in Fort Detrick (located here in Frederick, MD), developed a mosquito trap to help reduce Dengue Fever. Realizing that the Aedes Genus of mosquito is one of the biggest vectors of Dengue Fever, “The two combined their efforts behind the idea that female Aedes mosquitoes will lay eggs only in a container holding water.” That is not true of all Aedes mosquitoes. In fact, the Asian Tiger Mosquito found in many places in and around Frederick,and a potential vector (transmitter) of Dengue Fever and other diseases like West Nile Virus, are Aedes mosquitoes. The Asian Tiger (Aedes Albopictus) are known as floodwater mosquitoes because they lay their eggs in containers, tree holes, or other places that the female mosquito knows will flood when it rains. They often will lay their eggs, then, in places that do not contain water when they lay their eggs. The scientists at Fort Detrick created a pint-sized water container with a strip covered in pesticide to kill the female mosquitoes and the larvae. According to the report it was successfully used in Key West, FL where they had a Dengue outbreak. Dengue Fever had not been known to be transmitted in the continental United States for many years, but last year the disease was once again documented to be transmitted inside Florida’s boundaries. I doubt that the trap would be successful here against the Asian Tiger mosquito, whose latin name is Aedes Albopictus, as they can breed in a container the size of a bottle cap and consequently do not need a pint of water to lay eggs. As I said before, the Aedes Albopictus does not need water to be present either when it lays eggs. Nonetheless, it is good to read about efforts to reduce the transmission of disease through mosquitoes. As the article concludes, the World Health Organization recommends mosquito control to prevent the outbreak of mosquito borne disease. After a recent rain storm, I treated two properties for the first time to help them reduce the Asian Tiger mosquitoes in their yards. While in those yards, I observed several obvious breeding sites for the Asian Tiger mosquitoes. In one yard, they had a small kiddie pool with standing water in it. I looked in the pool and saw what must have been hundreds of moquito larva swimming in it. 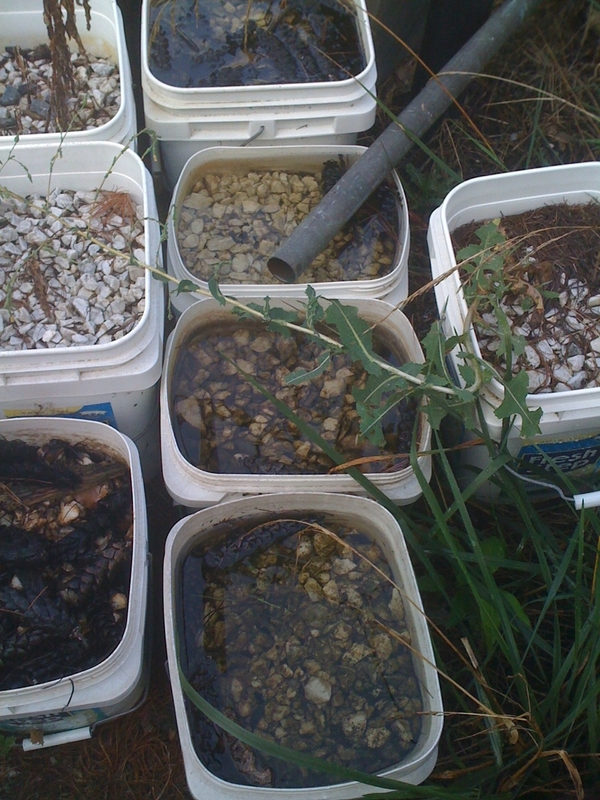 I then found buckets full of landscaping rocks with more mosquito larva swimming in them. Those were the obvious spots. In that yard, there were probably many other breeding sites becuase the Asian Tiger mosquito can lay eggs in very small pools of water in tree holes, bottle caps and other locations. The other yard had a wheelbarrow with dirt and a tarp in it. 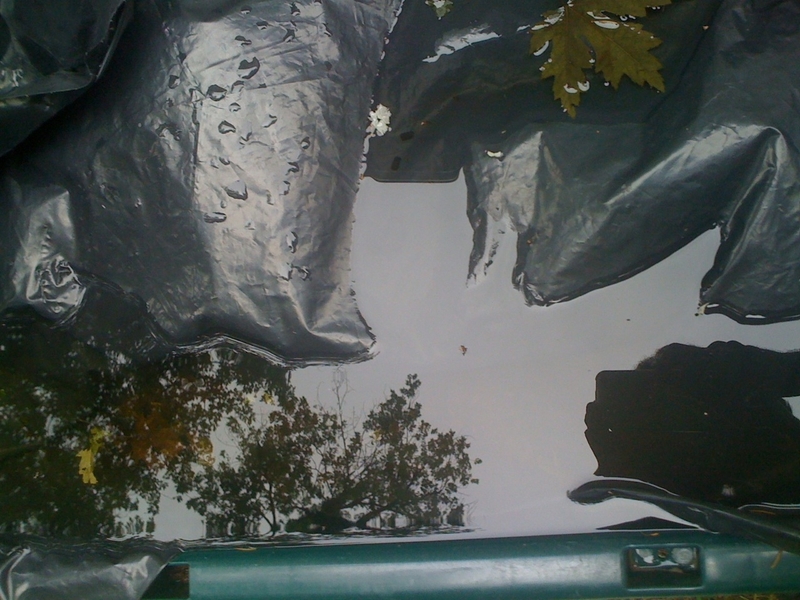 The tarp was full of mosquito larva. 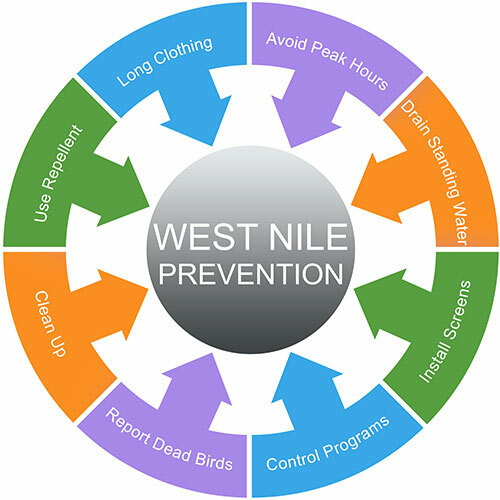 Removing those types of breeding sites would not completely eliminate the mosquito problem in those yards, but would certainly hellp reduce some mosquitoes.